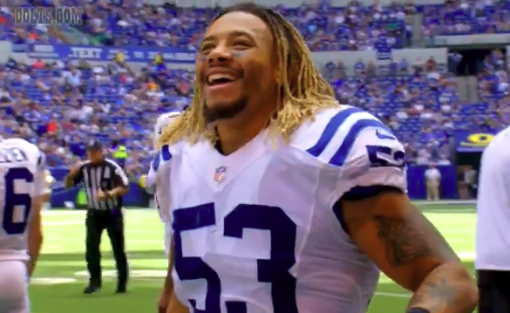 Colts Linebacker Edwin Jackson and his driver were allegedly killed by a drunk driving, previously deported illegal alien Sunday morning near Indianapolis. The suspect fled the scene on foot after crashing into their vehicle. Indiana State Police officers arrested the reported driver later that morning. 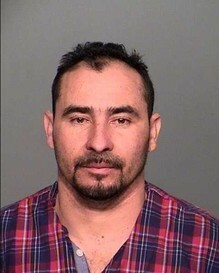 Police arrested a man who identified himself as Alex Cabrera Gonsales, a 37-year-old Mexican national, after he allegedly crashed his black Ford F-150 into a car parked along Interstate 70 near Indianapolis, according to a statement obtained from the Indiana State Police. 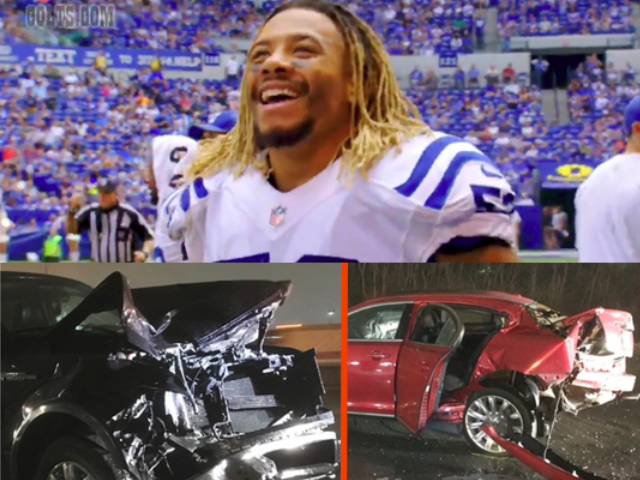 The driver of the car, 54-year-old Jeffrey Monroe, and his passenger, 26-year-old Indianapolis Colts Linebacker Edwin Jackson, were both killed in the crash. Detectives discovered the driver gave police false information about his identity. Investigators said the man’s name is actually Manuel Orrego-Savala, a citizen of Guatemala. A background investigation revealed Orrego-Savala has been deported from the United States on two previous occasions. The first deportation occurred in 2007. This was followed by a second deportation in 2009. Police believe Monroe was a rideshare operator who picked up Jackson and was taking him home. Monroe apparently pulled his car over to the shoulder to assist Jackson who had become ill. Shortly after that, the truck driven by Orrego-Savala crashed into the back of the car. Statements from the state police indicate that both victims were outside of their 2018 Lincoln when the crash occurred. The impact threw one of the victims into the center lane of the highway where he was later struck by another vehicle. The coroner’s office pronounced both victims dead at the scene of the crash. Orrego-Savala reportedly fled the scene on foot but state police troopers found him a short distance away from the scene of the crash and took him into custody. Orrego-Savala had no drivers license, officials stated. Breitbart Texas reached out to ICE officials to determine if Orrego-Savala has any additional immigration history. A response was not available by the time of this publication. Jackson, nicknamed “Pound Cake,” recently completed his second season with the Indianapolis Colts. The Colts said Jackson “loved the game of football and we’re thankful to have been a part of his journey,” in a tweet responding to the news of Jackson’s death.